Originally a downloadable PSP title, Unbound Saga was ported over to Xbox Live a year later with a few differences (most notably the addition of a co-op mode). 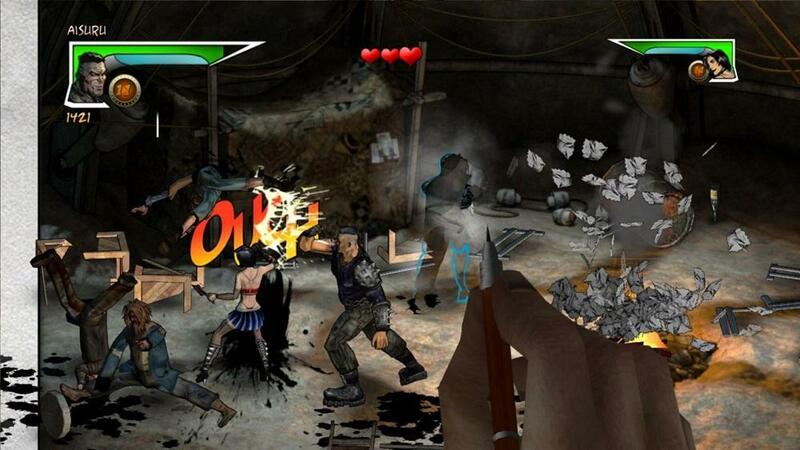 The game is a simple, mindless side-scrolling beat ’em up that draws heavily from the classic 1995 Sega Genesis title, Comix Zone. You play as either Rick Ajax, a juiced-up musclehead, or Lori Machete, a mysterious woman, both of whom are aware that they are in a comic book (kind of like the great Duck Amuck cartoon). Your job is to brawl your way through ten stages in order to meet “The Maker” – the guy who is drawing the enemies on screen. 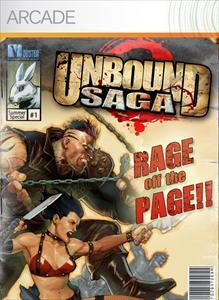 Unbound Saga bares more than a passing resemblance to the aforementioned Comix Zone. In fact, this almost feels like a full-on tribute. There are obstacles that need to be kicked and punched in order to move to the next panel (thankfully this doesn’t hurt your character this time), and there’s even a rat running around during loading screens. The game also has a lackadaisical sense of humor throughout, which is refreshing. This humor is most prevalent in the handful of enemies thrown at you, whether they are homeless people who think you stole someone’s liver or bears wearing aprons. I wouldn’t go so far as to say the game is genuinely funny, but its lighter tone is appreciated. Although the basic gameplay is the same as most beat ’em up titles, Unbound Saga has a certain amount of depth that helps it stand out. Strong in-game performances will earn you skill points which in turn can be used to learn new combos and improve the overall attributes for both characters. This sort of leveling up system is a nice addition, and it adds to the replay value since it encourages multiple playthroughs. Unfortunately, while the overall gameplay style is tried and true, there are some problems. For one, the controls are often sluggish. Rick, in particular, is difficult to move around, and he sometimes struggles to make contact with what is seemingly right in front of him. There were also times when I would have the analog stick pointed in one direction while spamming the attack buttons, yet Rick would remain facing the opposite way. This type of issue allows the enemies (and there are lots of ’em later on) to get in some cheap shots, and this gets very frustrating. The controls could have really been fine-tuned some more. Repetition is also an issue, although that is somewhat expected with the genre. The game is pretty much the same from beginning to end, with little in the way of surprises. A bit disappointing, but not out of the ordinary. In essence, Unbound Saga is what it is. 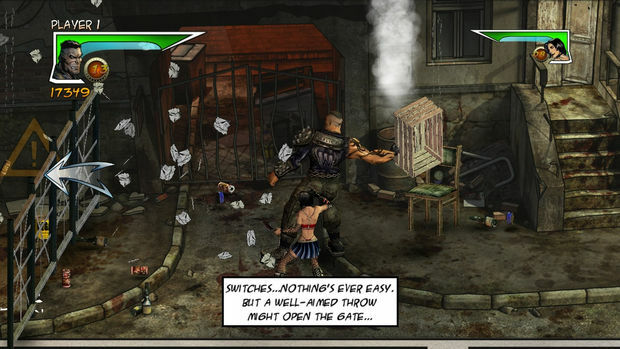 This is a mindless brawler with a fun comic book setting that borrows heavily from an even better game, Comix Zone. Some control and repetition issues keep the game from realizing its potential, but it is still worth playing through on a lazy afternoon. If you are a fan of the genre and see the game on sale, it is worth a look. It is difficult to recommend it at its current price (800 MSP), however.